2. As a final project in the undergraduate studies in Aerospace, Yair was part of a team of students that researched the aerodynamics of “wingsuits”. The purpose of this study was to create a basis for understanding the characteristics of fabric skydiving suits with “wings”, designed for high performance flight. Furthermore, they sought to design an “optimal” suit and find the pilot requirements that would allow the highest gliding qualities. The research included the creation of analytical and empirical models, intensive wind-tunnel experiments with a specially designed miniature human model, testing of pilot physical load limits at a gym and the design of a wingsuit simulator to test handling capabilities of the different models. The research received the award for best student research project at the 49th Israel Annual Conference on Aerospace Sciences and the second prize of the 2009 Technological Innovation Award from the Technion. The project was done under the guidance of Prof. Gil Iosilevskii. Recommendation to Program participants: “use the opportunity you’ve been given to begin research already during your undergraduate studies. Don’t use the time only for courses – research is the best way to broaden your horizons and introduce your creativity into your work”. 1. Segev, Y., Bibelnik, N., Akerman, N., Shagam, Y., Luski, A., Karpov, M., Narevicius, J. & Narevicius, E. (2017). “Molecular beam brightening by shock-wave suppression”. Science Advances 3, no. 3, e1602258. http://dx.doi.org/10.1126/sciadv.1602258. 2. Akerman, N., Karpov, M., Segev, Y., Bibelnik, N., Narevicius, J. & Narevicius, E. (2016). “Trapping of molecular Oxygen together with Lithium atoms”. Submitted. Phys. Rev. Lett. 119. http://dx.doi.org/10.1103/PhysRevLett.119.073204. 1. 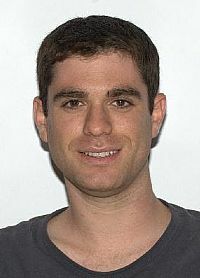 Segev, Y. & Brandeis, J. (2009). “Aerodynamics in Rarefied Gas Environment using DSMC Simulation”. Presented at 49th Israel Annual Conference on Aerospace Sciences. 2. Segev, Y., Yablochkin, E., Green, Y., Mintz, L., Neeman, O., Levin, R. & Iosilevskii, G. (2009). “Aerodynamic Design of a Wingsuit”. Presented at 49th Israel Annual Conference on Aerospace Sciences.